The Reverend WILLIAM BRATTLE was born in Boston, about the year 1662; and educated at Harvard College, where he graduated in 1680. He was afterward, chosen a Tutor, and a Fellow, in that seminary, and officiated in each of these capacities for several years. Dr. Colman, who was a student, while Mr. Brattle was in the tutorship, says, “He was an able faithful and tender Tutor. He countenanced virtue and proficiency in us, and every good disposition he discerned, with the most fatherly goodness; and searched out and punished vice with the authority of a master. He did his utmost to form us to virtue and the fear of God, and to do well in the world; and dismissed his pupils, when he took leave of them, with pious charges and with tears.” One memorable instance of his humanity, and christian heroism, while in the tutorship, is recorded as worthy, if not of imitation, of admiration. When the small-pox prevailed in the college, although he had not had that terrible disorder, instead of a removal, he staid at his chamber, visited the sick scholars, and took care that they should be supplied with whatever was necessary to their safety and comfort. “So dear was his charge to him, that he ventured his life for them, ministering both to the souls and bodies; for he was a skillful physician to both.” At length, he was taken ill, and retired to his bed; but the disorder was very mild, and he was soon happily restored. He was ordained Pastor of the church in Cambridge, November 25, 1696. On this occasion he preached his own ordination sermon, from I Cor. iii. 6; the Rev. Increase Mather gave the charge; and the Rev Samuel Willard, the right hand of fellowship. On the same occasion, the Rev. Increase Mather preached a sermon, from Rev. i. 16. Mr. Brattle was polite and affable, courteous and obliging, compassionate and charitable. His estate was very large; and, though he distributed it with a liberal hand, “secret and silent” were his charities. His pacific spirit, and his moderation, were conspicuous; and “he seemed to have equal respect to good men of all denominations.” He was patient of injuries, and placable; and said, after trials, he knew not how he could have spared any one of them. With humility he united magnanimity; and was neither bribed by favour, nor over-awed by the displeasure, of any man. “He was of an austere and mortified life”; yet candid and tolerant toward others. He was a man of great learning and abilities; and,at once, a philosopher and a divine. It is no small evidence of his attainments in science, that he was elected a Fellow of the Royal Society. “He was a generous patron of learning, and long father of the college” in Cambridge. He placed neither learning, nor religion, in unprofitable speculations, but in such solid and substantial truth, as improves the mind, and is beneficial to the world. Possessing strong mental powers, he was “much formed of counsel and advice”; and his judgment was often sought, and highly respected. His manner of preaching may be learnt from Dr. Colman, who, comparing Mr. Brattle with Mr. Pemberton, observes: “They performed the public exercises in the house of God with a great deal of solemnity, though in a manner somewhat different; for Mr., Brattle was all calm, and soft, and melting; but Mr. Pemberton was all flame and zeal, and earnestness.” Mr. Brattle’s ministry appears to have been successful; and the church, while under his pastoral care, became very greatly enlarged. Although he attained a greater age than either of his famous predecessors, Shepard, Mitchel, and Oakes; yet he was often interrupted in his ministerial labours; “by pains and languishments,” and died February 15, 1717, in the fifty-fifth year of his age, and twenty-first year of his ministry. The baptisms of children, during his ministry, were seven hundred and twenty-four; and the admissions to the fellowship of the church three hundred and sixty-four. He appears to have published scarcely any of his writings; though many of them were, doubtless, very worthy of publication. His grandson, Thomas Brattle, (108) Esquire, favoured me with the perusal of some of his Sermons, in manuscript, which are written very fairly and correctly, and are remarkably clear, and concise, sententious and didactic. The only publication of Mr. Brattle, which has come to my knowledge, is a system of Logic, entitled, “Compendum Logicae secundum Principia D. Renati Cartesii plerumque efformatum, et catechistice propositum.” It was long recited at Harvard College, and holden in high estimation. An edition of it was published as late as the year 1758. 106 ^ Boston News-Letter, No. 671. 108 ^ This very worthy and respectable man departed this life, since this History was committed to the press, February 7th, 1801, aetat. LIX. His father, Brigadier-General William Brattle, was the only child of the Rev. 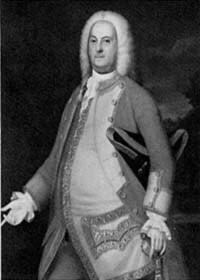 William Brattle, who lived to mature age. 109 ^ Coll. of Hist. Soc. for 1799, p. 79.